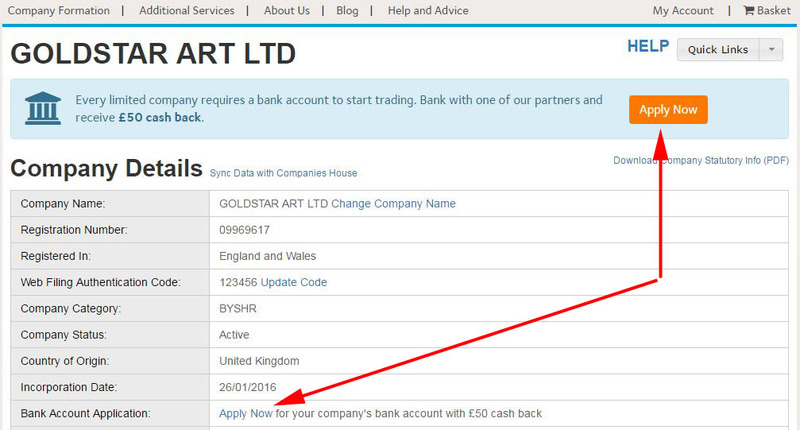 Every limited company requires a bank account to start trading. We've teamed up with TSB to offer a business current account for UK residents who formed their company through one of our formation packages. Please note: the TSB business current account is available to UK residents only. If you are based outside the UK, click here for further information. The option to choose the TSB business current bank account is presented to you during your company registration. MadeSimple will automatically forward your contact details to TSB, and you will be emailed a link to the TSB online application process (within 24 hours of your company being formed). Applicant(s) details - Details for all individuals named in the application (full names, DOB, nationality, 3 years' address history). Information about your business - What your business does, projected turnover, set up costs, trading premises details. Consent for credit check - Please note that all applications are subject to a credit search: you must obtain the prior consent of all parties involved in the application. When your account has been successfully opened, you can claim your cash back. Company not yet set up? The option to choose the TSB business bank account is presented to you during your company registration. Simply select TSB at the bank option stage, fill out your contact details and continue with the rest of your company registration. Go to My Companies and click on your company name (login required). Click the Apply Now button. You will then need to select TSB option and fill out your contact details. Once you fill out and submit your contact details, we will send you an email link for you to complete the TSB application online within 24 hours. Alternatively, you can apply by contacting our customer support. If you have a Wholesale/Professional account, there will be an option to select that you are referring your client on their behalf. Please also ensure to enter your client's information and not yours. What information do I need to bring to my bank account appointment? As the application is completed online, you are not required to go into a TSB branch. However, you will need the full names, DOB, nationality, 3 years' address history when completing the online application. If you are required to visit a branch, TSB should confirm what you need to bring. I've forgotten whether I applied for the TSB bank account. How can I check whether I did? Please contact our customer support, and we'll check for you. We will send you an email link to complete the TSB application online within 24 hours of submitting your contact details. If you still have not received the email, please request one from our customer support. I completed the online application, but I have not heard anything from TSB. Is there something I can do? Yes, please contact TSB directly on 0345 835 3858. My bank account is now open. How do I claim my cash back? You can claim your cash back via http://support.companiesmadesimple.com/article/343-cash-back#claim. Can I apply if I'm an international resident? Unfortunately, our TSB bank referral is available to UK residents only. However, you can apply for a bank account through our Banking International Package.